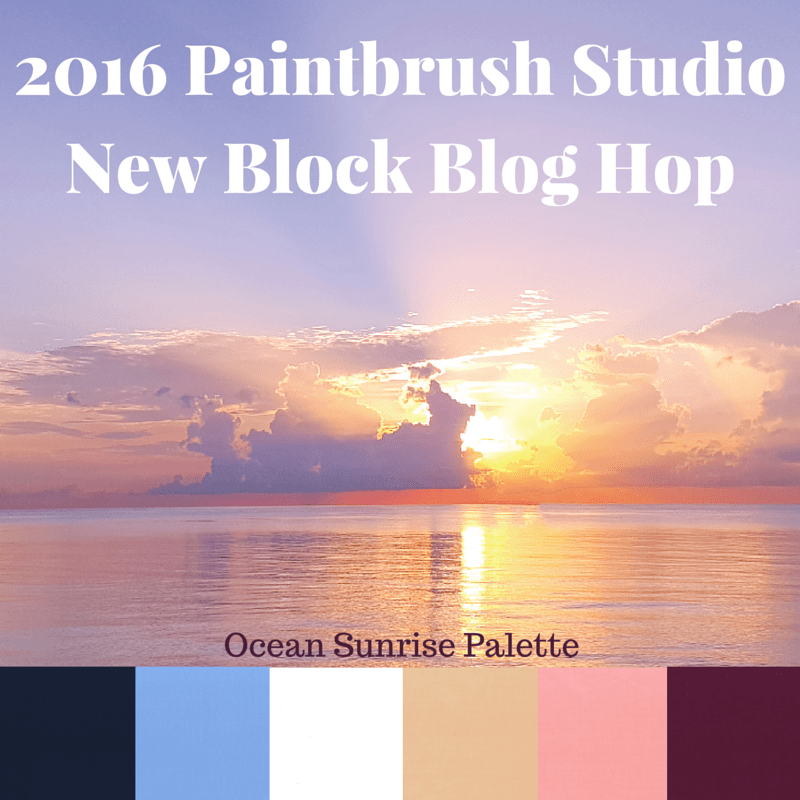 Welcome to the 2016 Paintbrush Studio New Block Blog Hop! Paintbrush Studio is generously sponsoring a New Block Blog Hop featuring their new line of solids, Painter’s Palette. The blog hop hosts, Yvonne @Quilting Jetgirl, Cheryl @Meadow Mist Designs, and Stephanie @Late Night Quilter, have curated the “Ocean Sunrise Palette”, and Paintbrush Studio is supplying each participant with a fat quarter bundle. Please use at least 3 of the colors from the palette in your block; you may use all 6 colors if you desire. Only use the fabric provided by Paintbrush Studio (no additional fabric from your stash). I would highly suggest creating a test block from your stash to make sure your instructions create a 12.5-inch square block before cutting into your Ocean Sunrise bundle. Write a tutorial for how to piece your block. Publish your tutorial on your blog at midnight eastern on the date you are scheduled. Ship your pieced blocks by March 31st to be sewn into quilts and donated to charity.